So how should a client act and what questions should they ask to find out if the lawyer is the right one in this case? Usually by the time the parties are thinking about lawyers in a commercial dispute, emotions are already running high. Usually the client is frustrated and wants to take immediate action and almost always a client feels they are in the right. Usually the unsuccessful party will have to pay not only their own legal costs but most of the successful party’s costs too. The risks are high and it is not an area of law for the faint hearted. 1. Have you handled cases like mine? Naturally, you want a lawyer who has successfully handled a variety of business disputes. 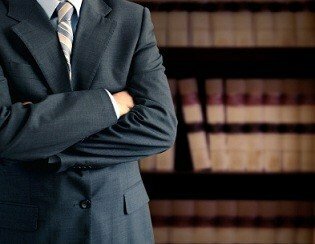 If you meet with the lawyer, it is your chance to learn about the lawyer’s experience and qualifications. 2. What course of action would you recommend? Will I need to go to a hearing? Are there other options? Hearings are expensive and time consuming; an experienced commercial lawyer will know if your dispute can be resolved through less costly alternative dispute resolution methods such as mediation. 3. What are the strengths and weaknesses of my case? A good commercial lawyer will be able to warn you of potential problems that may impact your case or your business. 4. Who will be handling my case? Will I deal with one lawyer or an entire team? Will work be delegated? Who will keep me updated? Who will be my main contact person? What do I do if I want to know what’s going on? 5. How will decisions be made regarding my case? Am I a partner in my legal case? Will I be involved in decision making? Will I be consulted about changes in the action plan? 6. What will my tasks and responsibilities be? What am I responsible for bringing to the case? Are there documents and information that you will need from me? What else can I do to help my case? 7. How long will it take to resolve this matter? The lawyer won’t be able to give you a definite answer. The opposing party may try to hold things up or act unreasonably. Your time is valuable and your lawyer should seek to resolve the dispute in a way that produces the best outcome for you in a reasonable amount of time. 8. How do your fees work? Most lawyers’ charge on an hourly basis and different staff charge at different rates, depending on experience or role. Ask your lawyer to give estimates. Although it is hard to do this for the whole case at the beginning you should always receive a Costs Agreement from the firm. 9. Are there any other questions I should be asking? These questions can give you a feel for the lawyer’s experience and style. More importantly, they can help you determine your comfort level with the lawyer. No matter how impressive the lawyer’s credentials, if you are uncomfortable, the lawyer may not be right for you. The Introductory Consultation is your chance to interview the lawyer before you make a hiring decision. Asking these questions allows you to learn about the lawyer and assess if he or she is the right one for you in this matter.